At Rally Hot Tub Hire Lincoln and Lincolnshire, we aim to make the whole hot tub hire experience as enjoyable as possible from start to finish! We’ve streamlined the checking availability and booking process so it’s easy for you to view. Our tubs are awesome as well, fitting 4 – 6 people, with the rapid heating system up to 40°C, AirJet massage system, LED lighting and comfortable padded base, your party or gathering is guaranteed to be memorable. To see your tub in action, click play to watch the video! 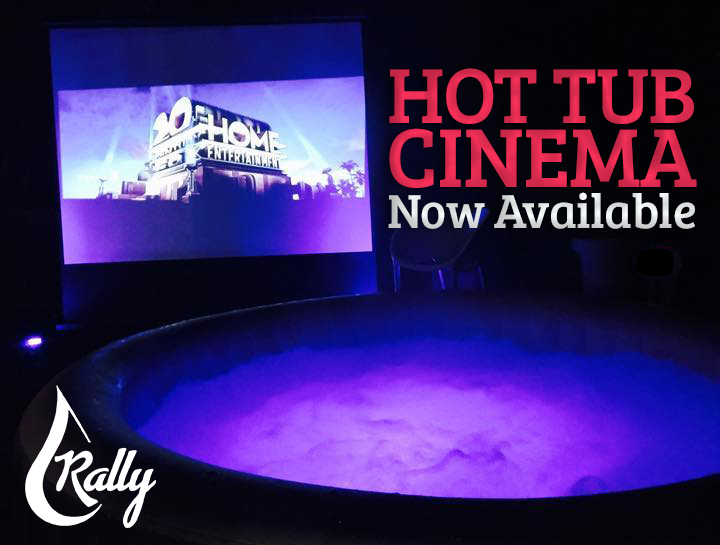 Why Choose Rally Hot Tubs? At Rally Hot Tub Hire Lincolnshire and Lincoln, we like to keep things simple for the benefit of you and us. The online booking system, allows you to hire a hot tub hassle free, the awesome tubs we provide are perfect for all occasions, and we are dedicated to providing an efficient and unobtrusive service, to ensure maximum enjoyment of the whole experience by you. Our Hot Tub Hire services cover all of the Lincolnshire area. Including Lincoln, Stockton on Tees, Yarm, Thornaby, Ingleby Barwick, Redcar, Stokesley, Wynyard and Billingham. You can book our hot tubs for as little as £26 a night using our multi-day discount savings! With 4 day weekend special pricing for £149 including spa bar and mats, as well as our weekly special for £199, you can sit back and relax in your hot tub, knowing you are receiving great value. We don’t like the idea of your hot tub not being at the perfect temperature from the day you booked, therefore we ensure the water has enough time to heat up by delivering your tub the day before. We will come round and set up the tub to heat the water overnight so it’s ready and steamy when you get up in the morning.